Free concert vector illustration to create original event communication, party flyers or music websites. 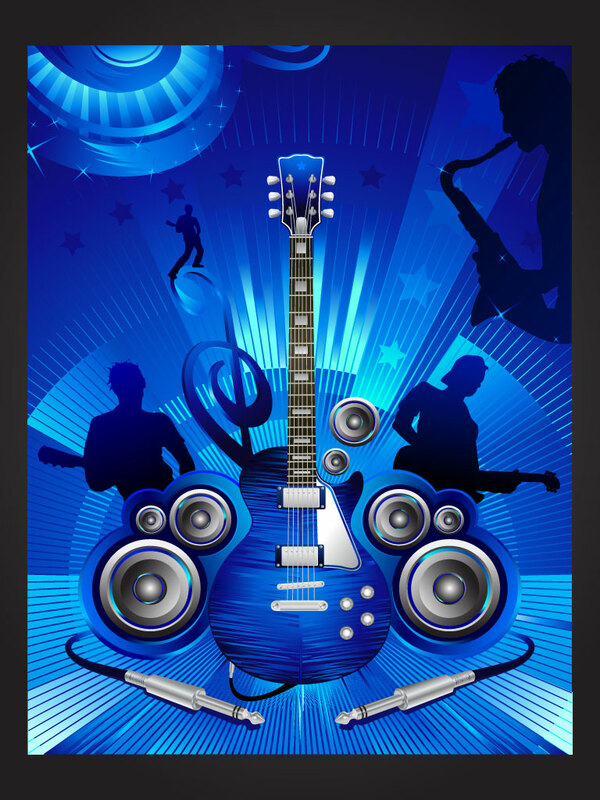 This guitar centered musical Illustrator poster is done in a blue color scale and will look amazing as a pinup, wallpaper or poster. Tags: Electric, Guitar, Instrument, Jazz, Les Paul, Music, Poster, Rock, Speakers.